Sydney Open is Historic Houses bienniale event where the doors of various buildings are opened for the public to have a nice sticky beak at. Beyond the general open day there are a number of special focus tour groups available showcasing architectural award-winning houses. 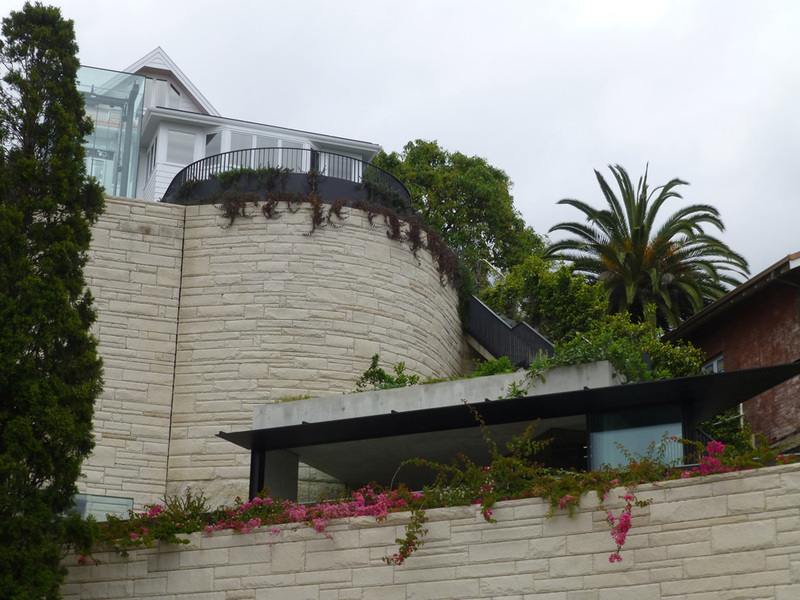 We were booked in to see the Kharkov House at Bellevue Hill in the morning. The original house is from the 1900's and has been renovated with an Arts and Crafts, Vienna Secessionist aesthetic. It's position on the block of the land is high up with views across the harbour at Rose Bay. The rest of the land had been unusable steep rocky escarpment. 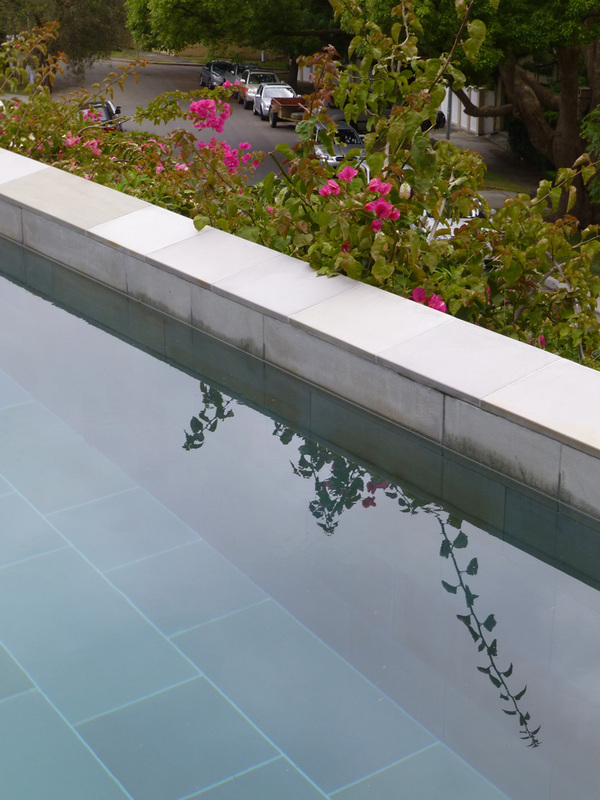 The new design has made sense of the hills cape and introduced new usable space with the garage at the base and a lap pool and outdoor entertaining area in the middle. Below are some photos from the exterior, interior house shots were not permitted. The polished bronze reflective panels used in the entertainment space gave a beautiful warmth and interesting dimension to the house. The vegetable garden growing on top of the entertaining kitchen space. 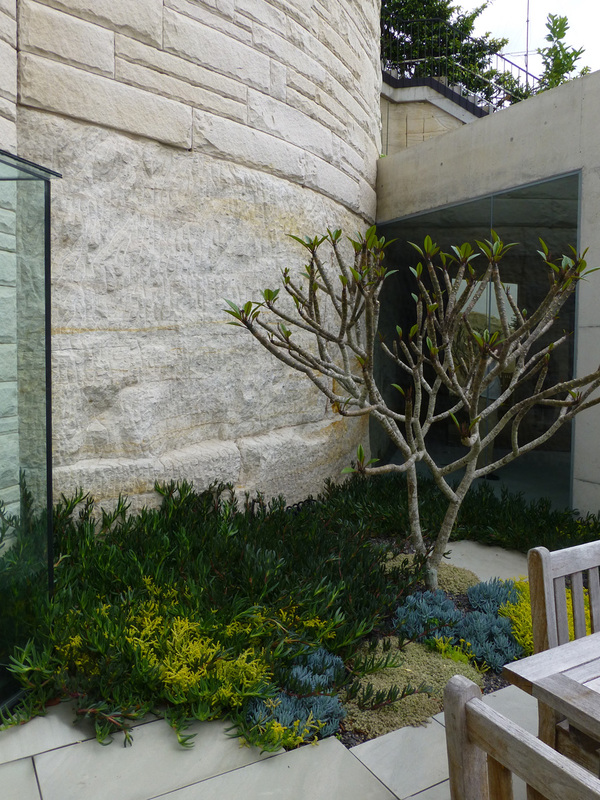 Most of the landscaping featured beautiful succulents in contrasting colours and textures. The plants complemented the sandstone beautifully. 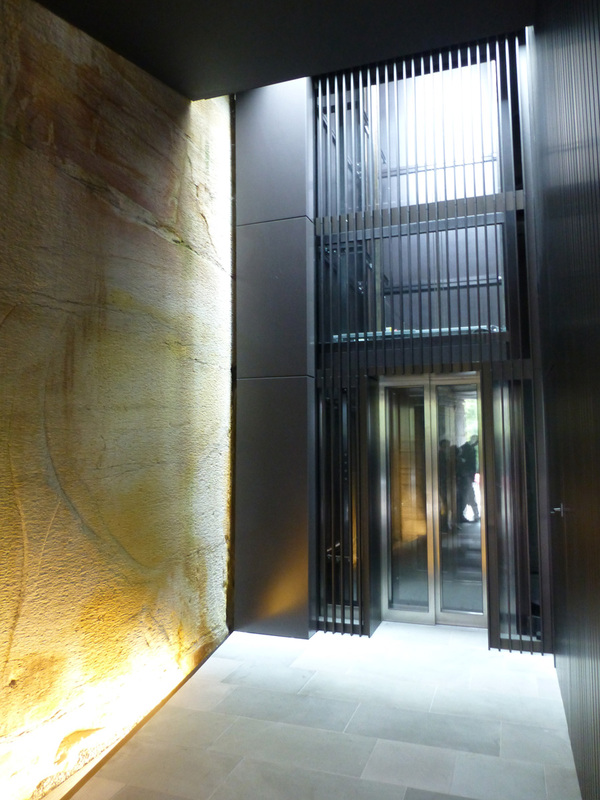 The top of the lift shaft, they made this as open as possible for it to blend in with the surroundings whilst standing out as a feature of the house. 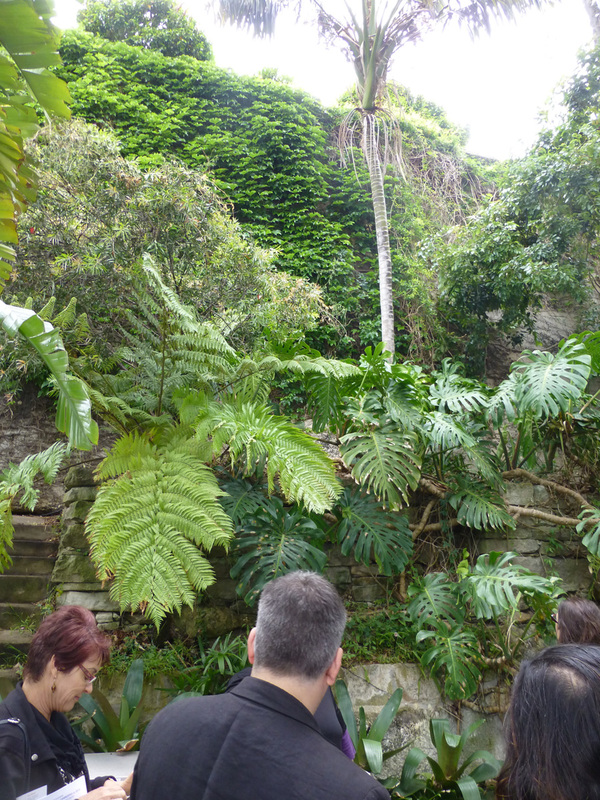 The rear of the house backed onto rock face which was planted up with large leafy rainforest plants to soften the surface.